Squid balls are one rank higher than fish balls because they are made of squid rather than generic fish meat. 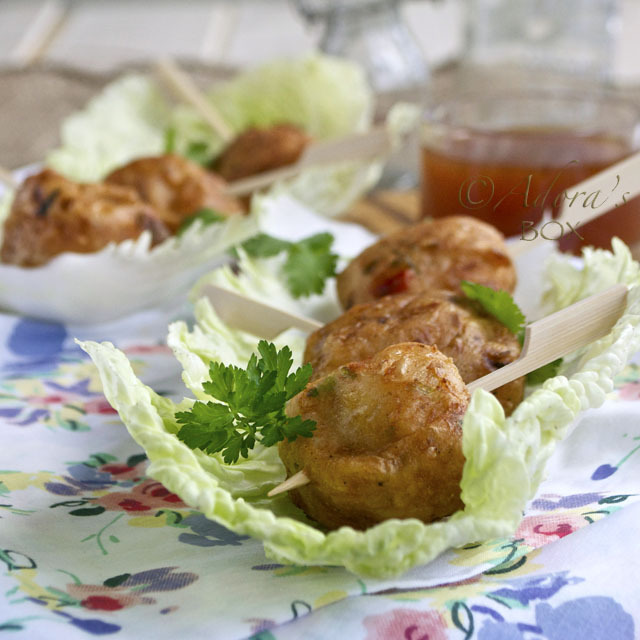 This homemade version is made of purely fresh ingredients, unlike the ones sold in the streets. The squid I used here is the large squid tubes usually sold frozen and headless in Oriental supermarkets. Squid has a very mild taste and firm texture. 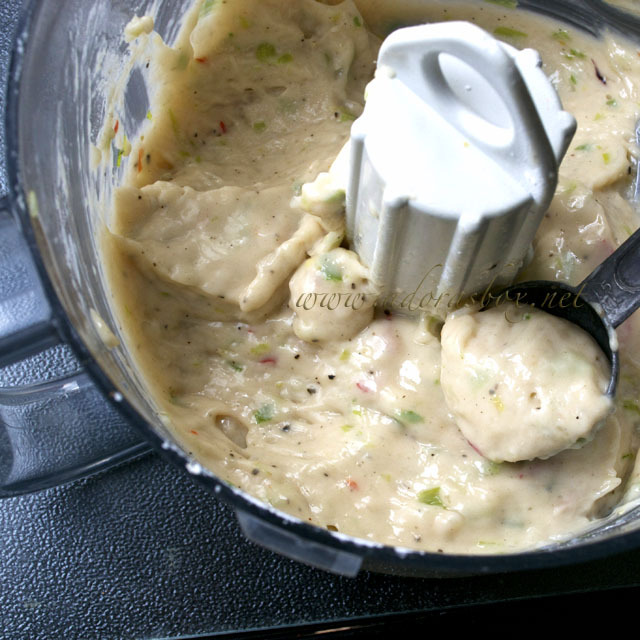 When pureed, it forms a creamy paste which is the perfect vehicle for spices and seasonings. 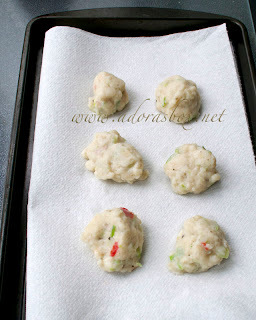 This is not the bouncy store bought squid balls but a lighter, more flavoured, puffy version. The texture results from cooking the balls in boiling water prior to frying. A few minutes work results to these delicious morsels that are perfect as snacks or appetizers. 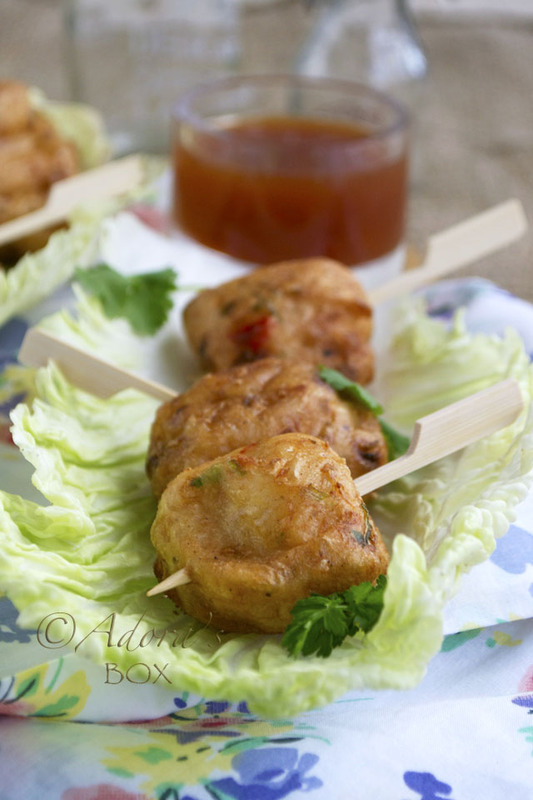 Pair them with sweet and sour or sweet chilli sauce to complete the taste. Put all of the ingredients, except for the cooking oil, in a food processor. Blitz until the mixture forms a very smooth paste. Heat up a pan of water. When the water come to a boil, drops spoonfuls of the mixture in. Boil for about 2 minutes until it floats to the top and is all puffed up. Transfer to a colander. Transfer the balls to a tray lined with kitchen paper to dry it out. 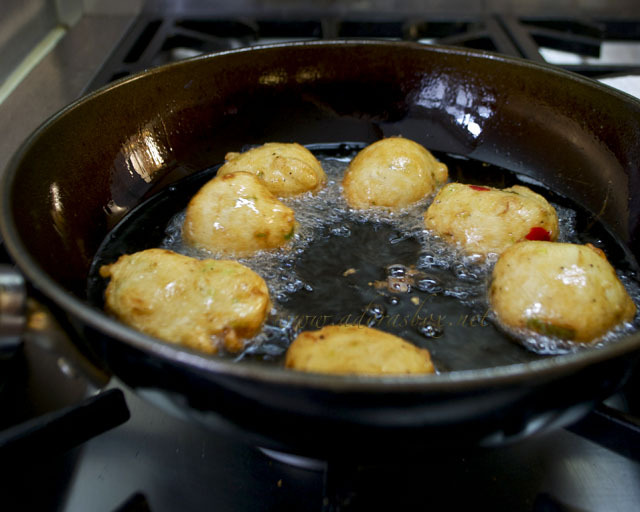 Heat up a pan of cooking oil for shallow frying. 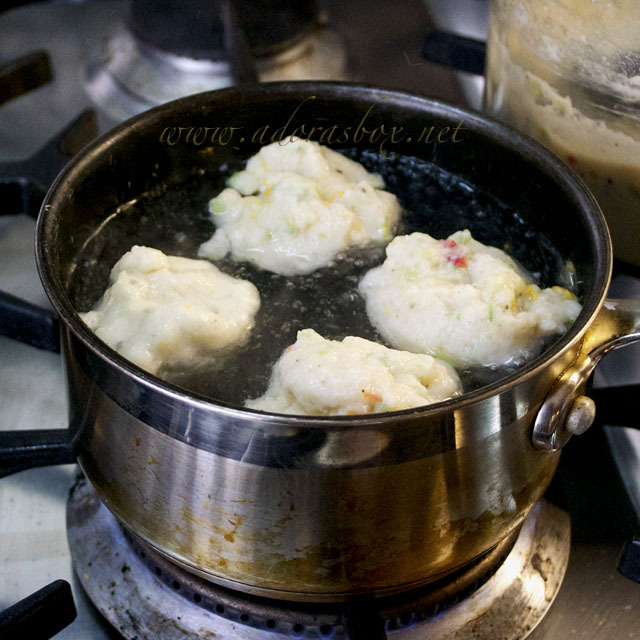 Drop the cooked balls a few at a time and cook on medium low heat until golden and puffed. This will take about 5 minutes. Undercooking will result to mishapen and flat puffs. 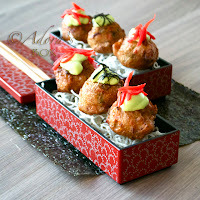 Hi Adora, these squid balls looks awesome and fantastic to serve with a spicy dipping sauce. Nice dish!!!! 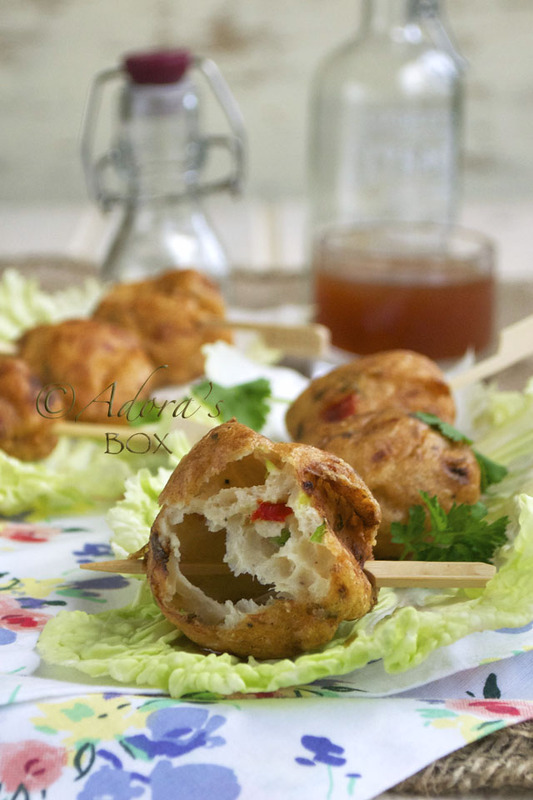 These squids puffs sounds delicious; a different from the usual prawn meat this time. I know no one would reject this. 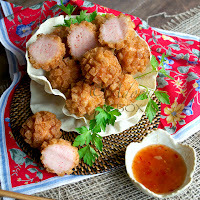 Those who have tasted this squid puffs I can say they are lucky! In UK, do you often able to get fresh seafood or the frozen one? Just curious to know. Hi Mel! We are lucky to have a few fishmongers in our area. However, the choice is is very limited and we still buy some seafood frozen when they are not available fresh. 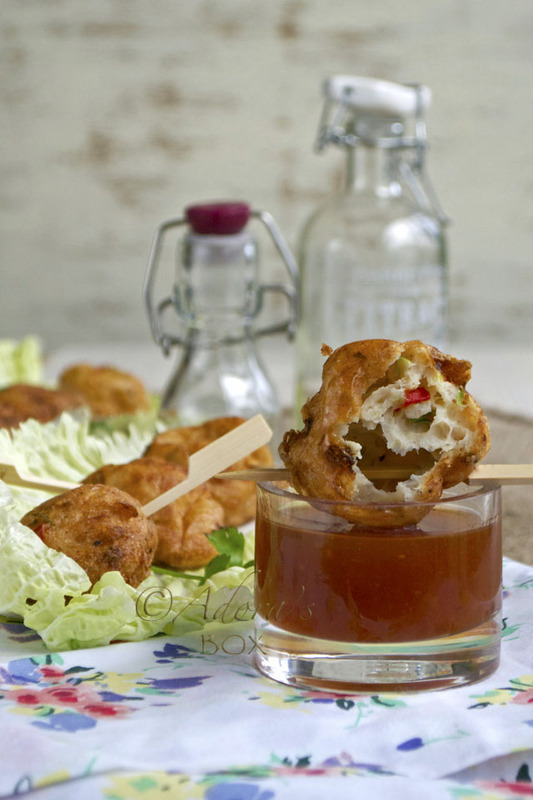 Love the idea of homemade squid balls! You're so creative, Adora! Hi Adora! This is interesting... I suppose we could use prawn too? Hi Alvin. Yes, you can use prawns for this recipe. What a interesting and tasty little treat! Even though it says "puff", I wasn't expecting the hollow center. 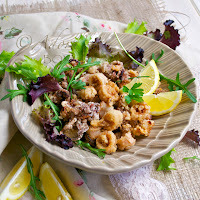 I do love squid and this looks like a fabulous way to enjoy the flavor and have fun! Just found your blog through Sincerely Kinsey's! These look so delicious!! Another worth to try! Looks really delicious. Thanks again for sharing this. More power!